Why does visiting Walt Disney World Resort in Orlando, Florida, give me all the feels? Is it because Mickey is there? Is it because I get to spend time with my family acting like a kid? Or is it because I don’t have to worry about food? Yes, that’s it. I can go almost anywhere on the property, including the hotels’ restaurants, and dine on gluten-free options like waffles, pancakes, beignets, French fries, chicken tenders, macaroni and cheese and even lamb shank with house-made naan and a bevy of dipping sauces. The attention paid to not just offering but preparing allergen-free cuisine is exemplary, leaving you free to relax and enjoy time at the parks—all thanks to the direction of one man, Gary Jones. Disney treats you as a “Guest” with a capital “G” rather than a customer. It truly wants everyone to have a magical experience—including dining—which sets it apart from other theme parks. Another aspect that sets Disney apart is the attention to food allergies. Stepping foot on Disney property is like hitting the food-allergy jackpot because the chefs there can prepare meals for those allergic or intolerant to wheat, gluten, peanuts and tree nuts, soy, eggs, corn, dairy and lactose, shellfish and fish. All top eight allergens are covered, and the menus also feature items that satisfy multiple allergens, like gluten- and dairy-free, etc. Disney breaks down dining into groups: table service, quick service and carts/kiosks. Each of these food and beverage locations is equipped with allergy-friendly menus and a knowledgeable chef. When ordering, simply inform the server that someone in your party has a food allergy, and a chef will appear armed with a book of menus and a wealth of knowledge. Ponder the options—which are plenty—place an order, and it will be prepared by said chef from start to finish. The same is true when attending a buffet, where chefs will point out safe options, then offer to prepare a plate in the back to avoid any possible cross-contamination issues. I recently spoke with Gary about the evolution and responsibility of the Special Diets Department, and here is what I learned. Jennifer Harris: When did Disney establish its Special Diets Department? Gary Jones: There was no clearly defined date. The process of taking care of our guests’ needs through phone calls and online has evolved and expanded over the years to meet demand and guest needs. There are many people in different departments that play invaluable roles to manage this process on a daily basis. The Special Diets team and my role are the result of feedback from chefs and guests to establish a central point of contact for both coasts to provide accurate information and navigation assistance for their food and beverage experiences. 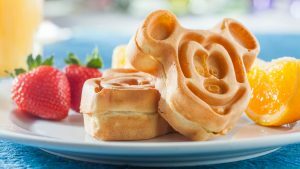 Harris: Do you handle all of the food allergy needs for both Walt Disney World Resort in Florida and Disneyland Resort in California? Jones: The chefs in the locations ultimately handle our guests’ food allergy needs at Walt Disney World Resort and Disneyland Resort. I am responsible for providing availability to best-in-class products and as the subject matter expert within Walt Disney Parks and Resorts. Harris: Did you hold another job with Disney prior to heading the Special Diets Department? Jones: I have been in operations, from quick service to multi-unit hotels, for much of my Walt Disney World Resort career. Within that, however, there were other interesting career builders. I was on the opening training team for Disneyland Paris, worked as a recruiter hiring cooks and chefs domestically, as well as interns for Epcot internationally, and as managing chef instructor for The Disney Institute. Harris: What drew you to your current position? Jones: I generally lead a healthy lifestyle as a marathoner and Ironman triathlete. When a discussion was held to create a role incorporating health and wellness and special dietary needs, I applied. Harris: How many special diet menus do you have? Of this number, how many are gluten free? Jones: We have over 120 allergy-friendly menus at table-service restaurants and major quick-service locations at Walt Disney World Resort and Disneyland Resort. Gluten-free options are available on all of them. Harris: How many restaurants are there at Walt Disney World Resort that can accommodate those with food allergies or intolerance? Jones: We have more than 500 food and beverage locations, including carts and kiosks, at Walt Disney World Resort. All table-service locations and most quick-service locations can accommodate food allergies and intolerances. Harris: For which special diet do you have the most requests? Jones: Guests requesting gluten-free accommodations are the majority of the requests. Harris: Have you seen an increase in requests? Jones: Yes, the numbers continue to increase every year, exceeding 775,000 in 2016, which includes requests at Walt Disney World Resort and Disneyland Resort. Harris: Do you find that you are accommodating more children than adults? Jones: Anecdotally, yes, but that’s not a metric we have available. Harris: What is the most-requested Disney gluten-free item? Harris: How often do the special diet menus get updated? 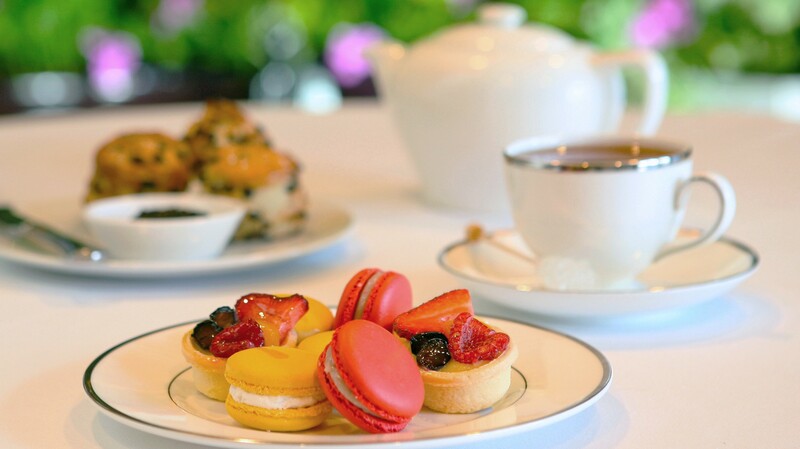 Jones: We consistently review our menus to ensure we are meeting the needs of our guests. Harris: What are the newest gluten-free offerings when it comes to snacks and dining? Jones: The allergy-friendly menus offer gluten-intolerant guests greater variety. One of the popular items is the gluten-free naan bread served at Sanaa at Disney’s Animal Kingdom Lodge. Harris: How many different premade products do you use? Jones: This depends on the location and menu needs. While we do have premade baked goods, pastas and mixes, many of our gluten-free menu items are made using minimally processed ingredients. Harris: How many gluten-free products do you make fresh? Jones: Given that we have allergy-friendly menus in over 120 locations, outside of baked goods, the majority of products made for gluten-intolerant guests are freshly made. Harris: What does meeting the food allergy needs of guests mean to you? Jones: Keeping this simple, a guest with food allergy needs should be able to have the same dining choices as everyone else visiting Walt Disney Parks and Resorts. Helping the operations teams deliver that safe experience with knowledge, food products and processes is my daily magic. The needs of Disney’s food allergy guests are always changing, leaving room for growth and an increase in demand for allergen-friendly products. The gluten-free community is lucky to have a man like Jones looking out for and serving our needs.